Every year, FCS puts on our Christmas Spectacular Concerts. 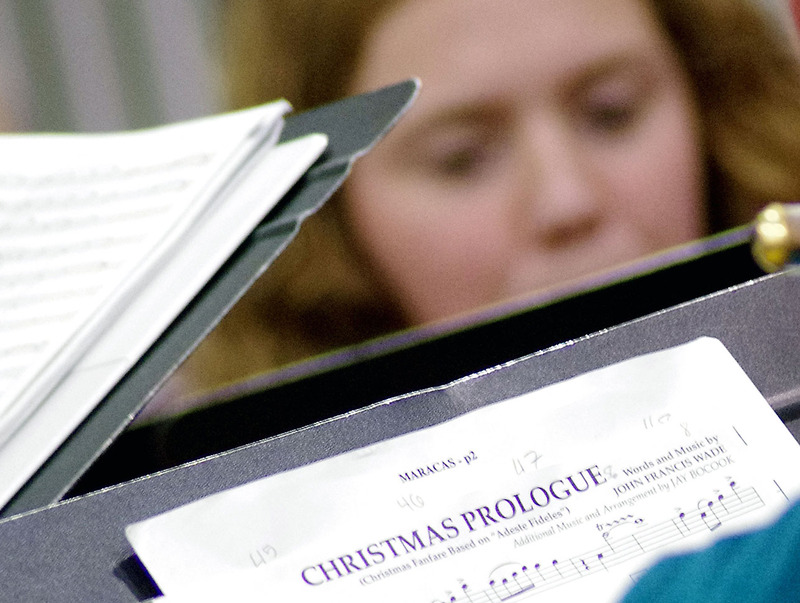 FCS as a whole has five “Christmas Spectacular” concerts each year: two preschool concerts (East and West), two elementary concerts, and a Junior High/High School Concert. I’ve been given the great opportunity to lead our Elementary Christmas Spectaculars. They’re such a fun way for me to lead our elementary students in worship of our Savior. As I look for music, I see all kinds of songs for the holidays. From “The Christmas Song” to “Grandma got run over by a reindeer,” there are numerous fun options for Christmas music. But I think it’s crucial that every song that we choose for our Christmas concert be focused on Christ. After all, He’s the reason why our school exists in the first place. We’re here to partner with our parents in teaching children to be like Christ. In my mind, a Christ-like child is a worshiping child. If we are going to prepare our children to go out into the world and be a witness for their savior, we need to teach them who that savior is–why he came—how he came. Without a firm grasp on these basic, yet essential, truths about the Christmas story, how can we expect them to share it? One of our first grader’s favorite songs this year is “Go Tell it on the Mountain.” It’s an upbeat reminder to them that one of the most unique opportunities at Christmas is that people are so open to hear about Jesus. The fourth through sixth graders are singing a similar song titled, “Light of the World.” There’s nothing better than helping our students to know that they have a solemn responsibility to share the great knowledge of their savior who was born as a baby—just to save them from their sin. We’d love for everyone to come out on Thursday, December 19th, at 6:30 PM for the lower elementary and 7:40 PM for the upper elementary concert, and worship our savior with us. If you aren’t able to come in person, check out the livestream recording on our website.